SHIRLEY GRIFFITH: PEOPLE IN AMERICA -- a VOA Special English program about famous Americans of the past. Today, Harry Monroe and Kay Gallant tell the story of dancer and movie star, Fred Astaire. HARRY MONROE: The year is nineteen thirty-two. The United States is suffering the greatest economic depression in its history. Jobs are hard to find. One young man is attempting to get a job dancing in the movies. Earlier, he and his sister had made a short film showing how they danced and sang. A motion picture company official watches the film. He writes this about the young man: "Can't act. Can't sing. Slightly bald. Can dance a little." Even with this poor report, the young man still gets a job in the movies. And -- in time -- his acting, singing and dancing changed the American motion picture musical. His name was Fred Astaire. KAY GALLANT: Fred Astaire was born in the Middle Western city of Omaha, Nebraska, in eighteen ninety-nine. He was the second child of an Austrian beer maker, Frederick Austerlitz, and his wife, Ann Gelius Austerlitz. Fred and his sister, Adele, learned to dance when they were very young. Their mother took them to New York to study dance. They performed in their first professional show when Fred was ten years old and Adele was twelve. Later, as teenagers, the two danced in many shows throughout the United States. Their first big success was on Broadway in nineteen seventeen. One critic wrote that Fred danced as if he had no bones. HARRY MONROE: The Astaires -- as they were known -- quickly became Broadway stars. 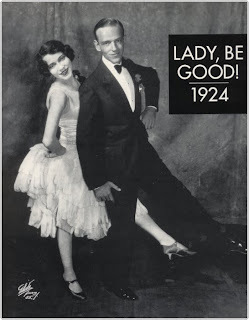 During the nineteen twenties, they sang and danced in eleven different shows. They also performed in England. 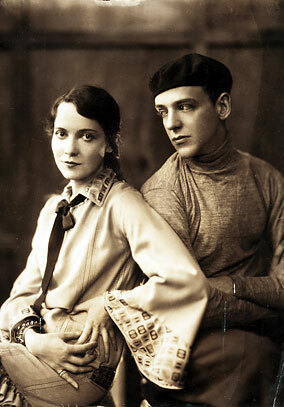 In nineteen thirty-two, Adele Astaire married a British man, and stopped performing. Critics had always considered her a better dancer than her brother. But Fred did not give up. He would go on alone, in the movies. Many years later in the film, "The Bandwagon," he played a man in a similar situation. 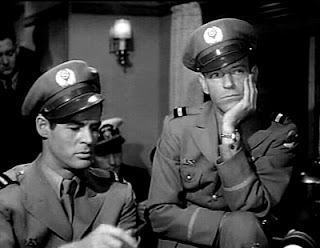 KAY GALLANT: One of Fred's first films was called "Flying Down To Rio." It was in this movie that he first danced with a young woman named Ginger Rogers. Fred and Ginger were not the stars of the picture. But when they danced this dance, The Carioca, everyone knew that something important was happening in the world of movie dancing. HARRY MONROE: Fred Astaire and Ginger Rogers made nine movies together. Their dancing was considered -- and still is considered -- the best ballroom dancing in the world. 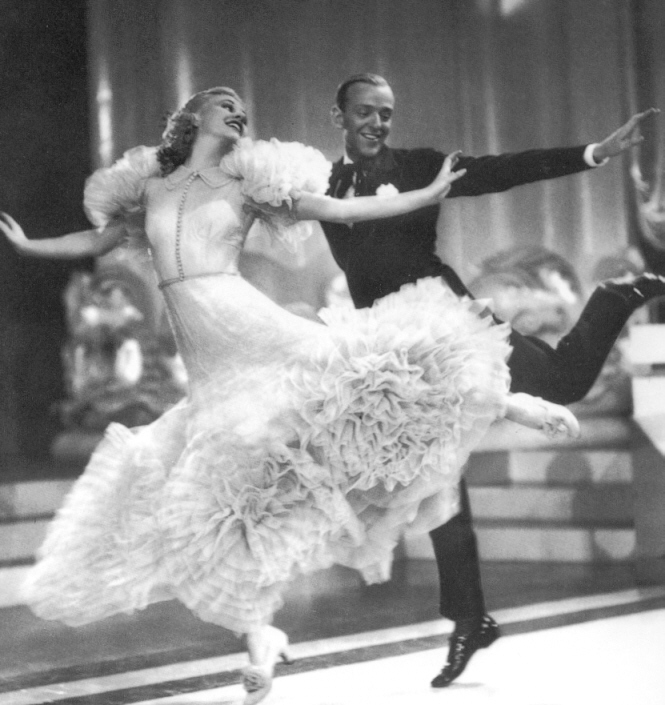 Dance critic Arlene Croce wrote: "Astaire and Rogers became the most popular team the movies have ever known. Their dancing was a vehicle of serious emotion between a man and a woman. It never happened in the movies again." Many great American songwriters wanted to write songs for Fred and Ginger. Among them were Jerome Kern, Irving Berlin, Cole Porter, and George and Ira Gershwin. They liked the way Fred sang a song. He did it simply, with respect for the words. One of these songs was Cole Porter's "Night and Day." Fred sang it to Ginger in the movie "The Gay Divorcee." 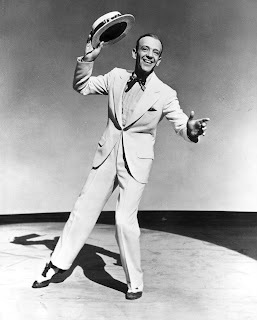 KAY GALLANT: Fred Astaire made forty other films. In addition to Ginger Rogers, he danced with many other talented women. Rita Hayworth. Eleanor Powell. Judy Garland. Cyd Charisse. Leslie Caron. Fred also danced alone in some very unusual places. He danced up walls and on the ceiling in the film "Royal Wedding." He danced on rooftops in "The Belle of New York." He danced on roller skates in "Shall We Dance?" And he danced with firecrackers exploding at his feet in "Holiday Inn." HARRY MONROE: Fred Astaire made all this look easy. But it was not. Critics have said his technical skill was the greatest in the history of the movie musical. He said: Dancing is a sweat job. You cannot just sit down and do it. You have to get up on your feet. It takes time to get a dance right, to create something memorable. I always try to get to know my dance so well that I do not have to think, 'what comes next?' Everything should fall into line. And then I know I have got control of the floor." KAY GALLANT: Before each movie was filmed, Fred Astaire and his partner worked for as many as six weeks to plan each step and movement. He also planned how the cameras would photograph them, so that as much dancing as possible could be filmed at one time. Earlier, movie directors had photographed dancers showing one part of their body at a time as they danced. Fred would not permit this. He wanted moviegoers to see his whole body at all times. And he would not permit any camera tricks to make his dancing appear smoother or faster than it was. In nineteen forty-nine, Fred Astaire won a special award for his film work from America's Motion Picture Academy. He also won awards from the television industry for a number of his television programs. HARRY MONROE: Fred stopped dancing in nineteen seventy. He was more than seventy years old at the time. He said a dancer could not continue dancing forever. He said he did not want to disappoint anyone, even himself. He danced again in public only once after that. It was with another great male dancer, Gene Kelly, in the movie "That's Entertainment, Part Two". Fred Astaire in "On The Beach"
Fred did not always appear as a dancing man. He had a dramatic part in the movie "On The Beach" in nineteen fifty-nine. And he starred in a non-dancing television series called "It Takes a Thief". KAY GALLANT: Fred Astaire and his first wife, Phyllis, raised three children. Phyllis died in nineteen fifty-four. Twenty-five years later, Fred married race horse rider Robyn Smith. Fred Astaire died on June twenty-second, nineteen eighty-seven. He was eighty-eight years old. He was called the greatest dancer in the world. His dancing was called perfect. And moviegoers everywhere will remember him as a great performer whose work will live forever in his films. SHIRLEY GRIFFITH: You have been listening to People In America -- a program in Special English on the Voice of America. This program was written by Nancy Steinbach. Kay Gallant and Harry Monroe were the narrators. I'm Shirley Griffith. 1. 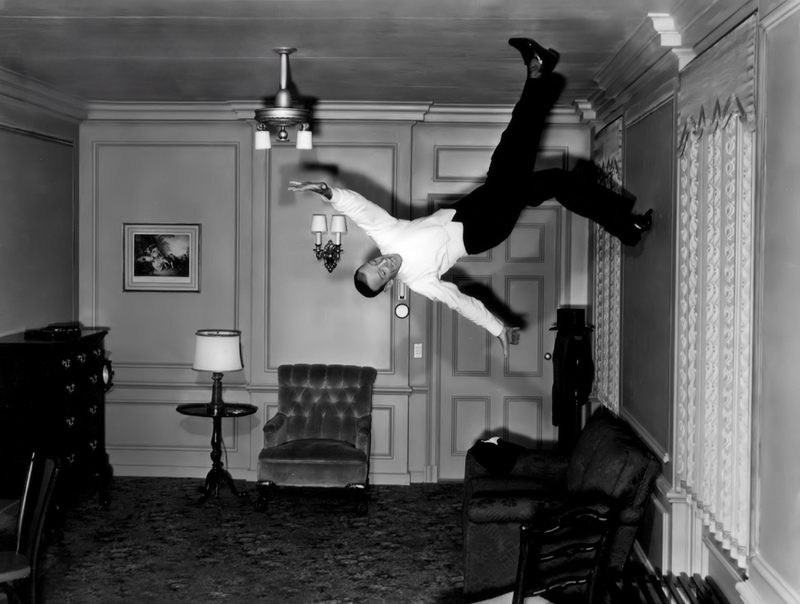 Fred Astaire danced on the wall in the film "__________________." 2. Fred tried to get to know his dance so well that he didn't have to think "________________?" b: Do people like this? 3. 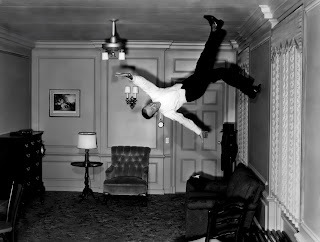 Fred Astaire didn't dance in the movie "__________________________." 4. In the film "The Gay Divorcee", Fred Astaire sang "Night and Day" _________________ . 5. When Fred Astaire first tried to get a job in the movies, ______________ . 6. The following is not the title of a film: "_______________________ "
7. Fred Astaire was the second child of a _____________________ . 8. One critic wrote that dancing as an expression of serious emotion between a man and woman _______________________________ . 9. A motion picture company official saw Fred and Adele's short film. The official said that _________________ . 10. 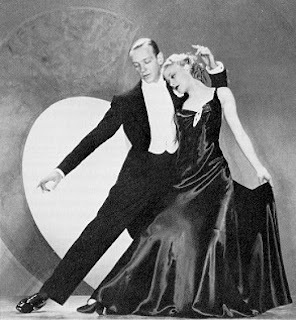 Ginger Rogers and Fred Astaire first danced together in the film "_________________." Fred Astaire and Ginger Rogers: "Let Yourself Go!"